#FollowFriday this week focuses on The Blue Note. Connect with them on Facebook and Twitter. We live in an amazing city. Columbia is a bustling and diverse as nearly any city in the country, and about the only thing Kansas City or St. Louis offer that CoMo doesn’t is professional sports. 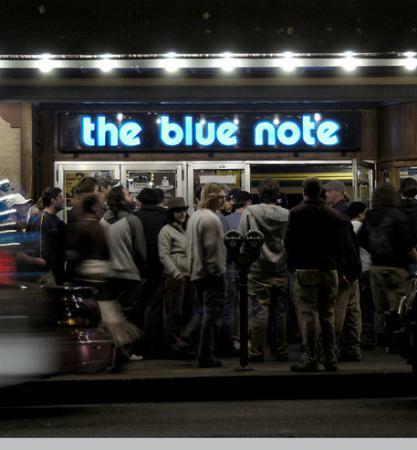 One of our favorite places that give Columbia its distinct cultural flavor is The Blue Note. Over the years we’ve attended charity fundraisers, Super Bowl parties, rock concerts, pop concerts, country concerts, local band concerts (with no more than 30 people in attendance), the list goes on and on. Each one of those is incredibly important because it all adds into what makes Columbia so special. Especially the last one on that list. Just take a look at what The Blue Note has coming up over the next few weeks and months. National acts like Matt Nathanson and Jarrod Nieman to local bands getting a moment on the stage. The Blue Note is a venue that’s built a nationwide reputation as an awesome place to play music primarily because of Richard King. The man is a walking encyclopedia of music knowledge and knows things about your favorite band you’ll never know. Most likely because he learned them while hanging out with the band. These guys do a fantastic job at passing along the atmosphere of The Blue Note on to their audience in social media. If you can’t make a show, you’ll be guaranteed to feel like you’re there if you’re connected with them. So go ahead. Help The Blue Note 30 years in the business and go see a show after you connect with them on Twitter and Facebook.